We reported earlier two months back that German automaker Volkswagen was preparing to launch an all-new Highline Plus trim to several of its models like the popular Vento, Polo and the new subcompact sedan that rose bestselling status Ameo. Now, VW has announced an official statement revealing the price list in which the Volkswagen Vento will be offered with on the Highline Plus grade. Starting price for the manual Highline Plus with 1.6 MPI engine is quoted at Rs. 10,84,550 while the range-topping automatic Highline Plus model with 1.5 TDI unit costs Rs. 13,42,677 (ex-showroom, Mumbai). 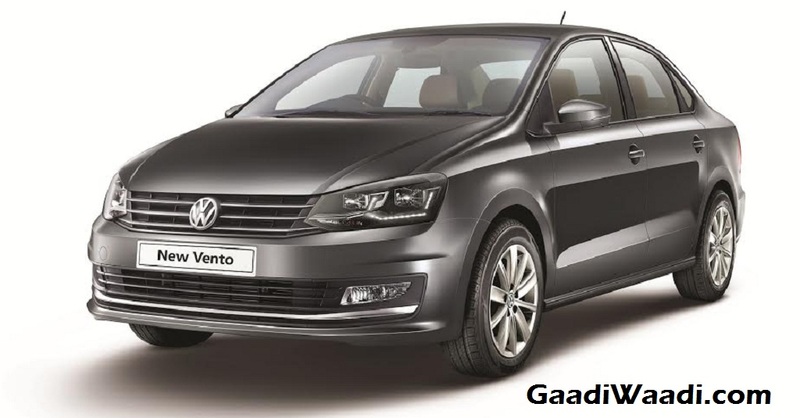 The significant update in the Volkswagen Vento Highline Plus models include the full LED headlamps with LED Daytime Running Lights and a reverse parking camera that are aimed at optimizing the driving experience and add an additional dash of style and luxury according the VW. It was showcased at the 2016 New Delhi Auto Expo in February last year. The top-end trim sports the same equipment list as the current Highline model alongside the new additions. Apart from the full LED headlamp and LED daytime running lights, the sharp looking midsize sedan will also feature new set of Zirkonia alloy wheels that is expected to enhance the appeal further. Interior of the Volkswagen Vento Highline Plus trim features a MirrorLink touchscreen infotainment system that will certainly increase the car’s upmarket status. Along with the added features, the 2017 Vento comprises of OVRMs with turn indicators and 3D effect tail lamps on the exterior. The interior comes equipped with automatic rain sensing wipers, rear air-conditioning vents, auto-dimming IRVM, cooled glove box and a multi-function steering wheel with mounted controls. The Vento also has ABS (Anti-lock Braking System) and dual front air-bags as standard fitment in all variants. 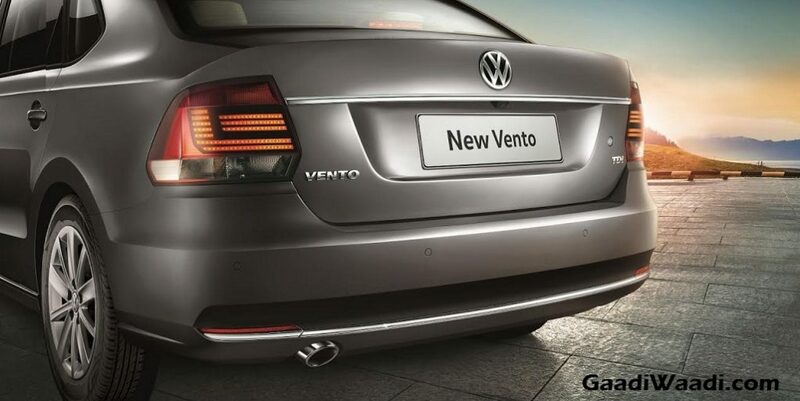 The Vento Highline Plus is now available at all Volkswagen showrooms across the nation. Over to the powertrain, the new top-spec trim with visual enhancements is being offered in all three engine options. This will include a 1.6-litre MPI petrol engine 105 PS, a 1.2-litre TSI petrol engine with 105 PS and a 1.5-litre turbocharged TDI diesel engine with 110 PS. Transmission options include a manual gearbox and a DSG automatic unit as well.